Following the successful launch of Final Draft 10, the latest iteration of their screenwriting software, Final Draft wanted to increase incremental revenue. Final Draft enlisted Groove’s help to explore marketing automation and HubSpot Abandoned Cart Solutions with HubShop.ly. Following the successful launch of Final Draft 10, the latest iteration of their screenwriting software, Final Draft wanted to increase incremental revenue. They also wanted to engage users of previous versions and encourage them to upgrade. Final Draft enlisted Groove’s help to explore marketing automation with HubSpot and explore eCommerce applications. As a part of our marketing engagement, Groove helped Final Draft integrate HubSpot with their existing marketing plan. Following the inbound methodology, we also set out to help them capture abandoned cart revenue and convert leads into customers with our HubSpot eCommerce extension called HubShop.ly. Using this extension, we seamlessly imported customer purchase data, behavior attributes and cart information into Final Draft’s HubSpot account. Our team used this information to enroll contacts into smart lists and workflows based on individual criteria. 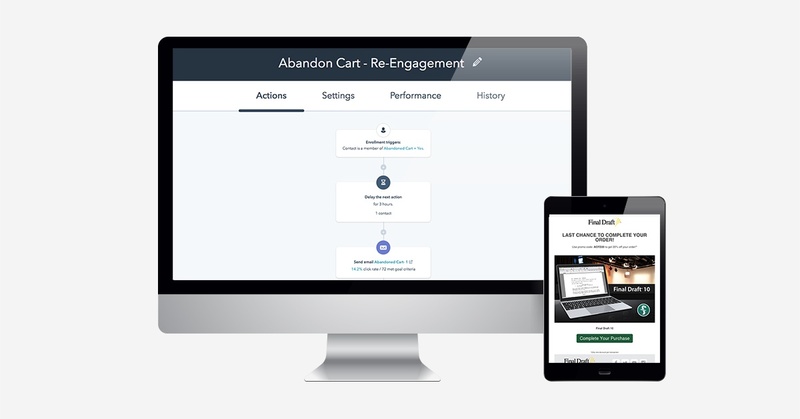 From there, we used HubSpot’s Marketing Tools to setup a 3-email workflow for abandoned carts. Our team also used the smart lists that we created with HubShop.ly with the HubSpot Ads Add-On to retarget to those specific lists on Facebook. Overall, our strategy and eCommerce connectivity helps Final Draft capture abandoned carts and centralize its marketing within HubSpot. Since December 2017, Final Draft’s abandoned cart campaign using HubShop.ly has experienced a 42% workflow conversion rate and generated an additional 15% in inbound-related revenue. HubShop.ly’s intuitive integration with eCommerce platforms helped Final Draft capture revenue that would have otherwise been lost. The tool also makes it easy for the client to create additional eCommerce workflows in HubSpot with minimal technical involvement. 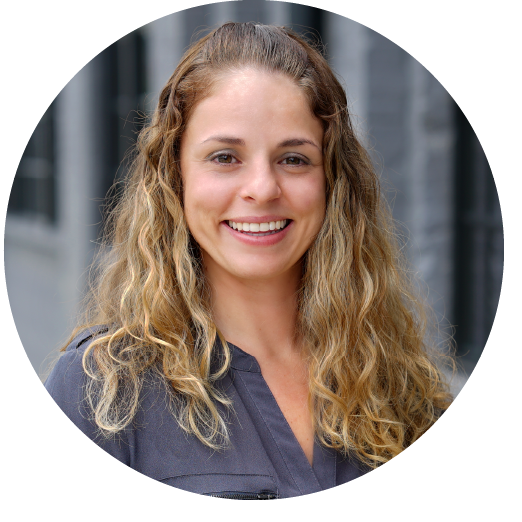 Additionally, this integration helps Final Draft keep their eCommerce marketing in the same place as their inbound marketing.